Loving your husband is not the popular message of today. But it is a message worth living. Loving your husband is not an easy commitment. But it is a commitment worth making. Loving your husband is not always what you want to do. But it is always worth doing. Loving your husband is not your default. But it is possible to demonstrate God’s love to your husband by His power. After 15 years of marriage, I continue to learn about loving my husband. 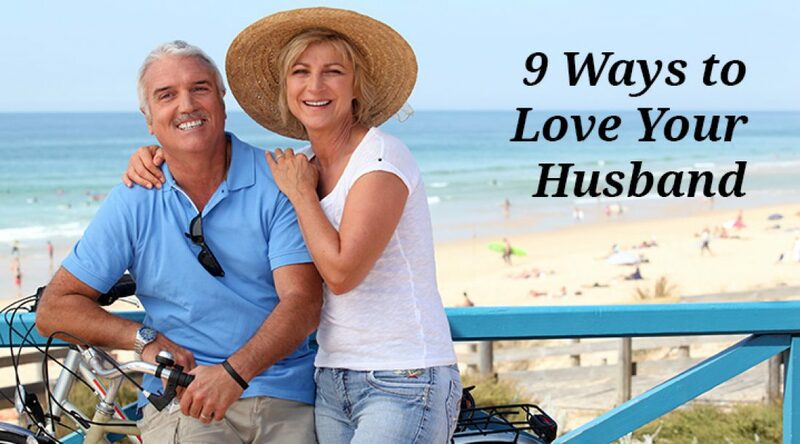 I encourage you with nine ways to strengthen your marriage. Grow in love and grace and be blessed with a marriage that stands the test of time. When you are young and in love, you think you can live on love. As you mature and difficulties arise, it is easy to walk apart. You think you need a workable plan to deal with the stresses in life. And you do, but don’t forget to live on love. Live your lives together. Plan together. Laugh together. Cry together. Walk alongside your husband and hold hands in life. Don’t stop getting to know your husband. Life easily overwhelms. Bills need to be paid. Responsibilities need to be met. Things break down. Children grow up. Seasons change. You are not your husband’s enemy. Do everything you can do to work for and maintain peace. Economies and countries weaken in times of war. Peace brings stability and strength. Peace empowers you to help others who are weak. The easiest way to wound our husbands is to tear into them with our tongues. Put a guard over the lips of your mouth. By holding your tongue when you only have biting words, you are winning the war for peace. Life battles come. Storms on the horizon will blow in. Be prepared. Stock up. Build a safe place. Know where you are secure. Determine where you need to reinforce. Get involved in a loving community that you trust. You have the potential to grow stronger in the storms if you have the supports to help you through them. Believe that God is your refuge in storms and He is your Strength when you are weak. Continue in prayer with an attitude of gratitude in the hard times. In hope, believe when all is hopeless. Shower him with affection. Even when you have to convince yourself to rub his back, greet him with a kiss, smile across the table and the children’s messy table manners, or hold him when you are weary of little hands clambering over every inch of your body. Keep his heart tender by caressing him with your warm and devoted expression of love. Your husband is not perfect. Neither are you. There are days that you don’t even like your husband. There are things that he does that drive you crazy. There are dreams that have no place in your marriage. Strong marriages are built on a foundation of love and framed with grace. Healthy marriages don’t just happen, they need to grow with grace upon grace in the good times and bad times, for better, for worse, for richer, for poorer, in sickness or in health, ’till death separates. The oneness between a husband and wife is a union that should leave you in awe. It speaks of the union between Christ and His bride. That He would give us such a beautiful picture to live out is a humble joy. Be enraptured with your husband. Wonder at the special oneness. Marvel that you can be intimate and make love beautiful in this broken world. When you have guarded your tongue from words that tear down, be generous with words that will build your husband up in courage. Look for the little things he does if you struggle to find anything good. Honor and respect him with your words when you are alone, when your children are watching, and when you are in public. Write words of encouragement on his heart. 9. One of the most precious ways to grow together is to live your lives for God’s glory together. Serve the Lord together. Go to church together. Pray together. Sing together. Stir one another on to good deeds. Trust together. Weep together. Do what you have been created to do—to love the Lord your God with all your heart and with all your soul and with all your mind and with all your strength—together and praise God that He will grow you in grace and in His mercy will hold you both in the palm of His hand. 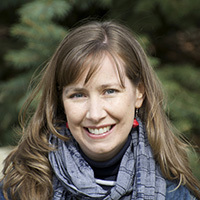 Rebekah Hughes is wife to Jon and mother to three children who meets together with the saints at Pinewood Chapel in Ontario. She has been blessed to home educate their children until recently as she recovers from high-risk open-heart surgery. She writes the story of her life and faith at A Soft Gentle Voice. I enjoyed your article Rebekah, and as I read it through a second time, it really could be applied to either side in the marriage, wife or husband. I also read your story of your journey through your tremendous health issues you had to endure, drawing strength from the God of all comforts. Praise the Lord for His grace in times of need. Thanks so much for sharing. Appreciated these thoughts. They are more significant to me because of what I know about you from others and from your blog. It is easier to take exhortation from someone who walks the talk. Thank you for living Christ before us, in humility and transparency. Thank you, for your gracious words. I have so much more to learn, but how thankful I am for this gift to be a student of my husband and for God’s grace and faithfulness in our lives. It’s an honour to share. May God be praised; to Him be all the glory.